The Keller (Texas) High girls, ranked No. 3 in our preseason Flo50 girls rankings, won the Marcus I Invitational on Saturday at North Lakes Park in Denton, Texas. The team scored 77 points to take home the win and was led by senior Julia Black, who ran 17:45 to finish fifth. Coming in second for the Indians was junior Isabel VanCamp who finished seventh in a time of 17:52. Coming in second for the Indians was junior Isabel VanCamp, who finished seventh in a time of 17:52. Senior Abbey Santoro was third in 18:34.71 and transfer Cambria Clark, expected to boost the team's depth from 1-5, was fourth in 18:52.99. 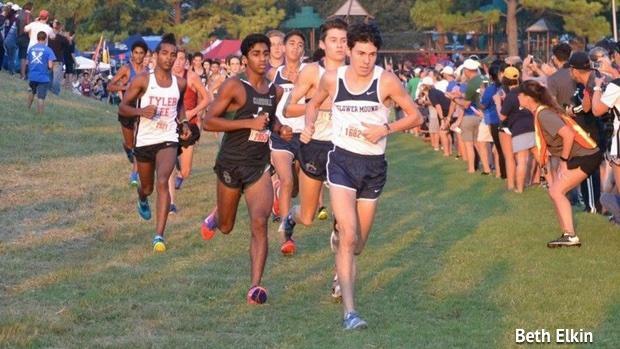 On the boys' side, Flower Mound (Texas) High junior Alex Maier, ranked No. 2 in our preseason Flo50, dropped the fourth-fastest time on the course. Maier ran 15:01.92 to take the win, helping his team claim second place. Maier is now only behind Craig Lutz, Colby Lowe, and Carter Blunt on the Marcus I all-time times list.